rathe ca vamanam drstva punar janma na vidyate: Simply by seeing the Lord on the chariot, one makes advancement for stopping the repetition of birth and death. 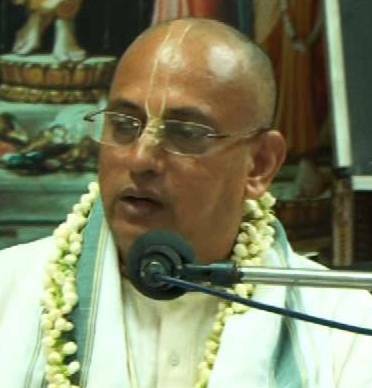 To give this opportunity to everyone in the locality, we celebrate the Ratha Yatra of Sri Sri Krishna Balarama every year in the month of January. The utsava Deities of Krishna and Balarama come out in the evening and ride on Their chariots to bless the citizens. The chariot is decorated with a colourful display of lights and flowers. The decorative light fittings are a sight to behold. 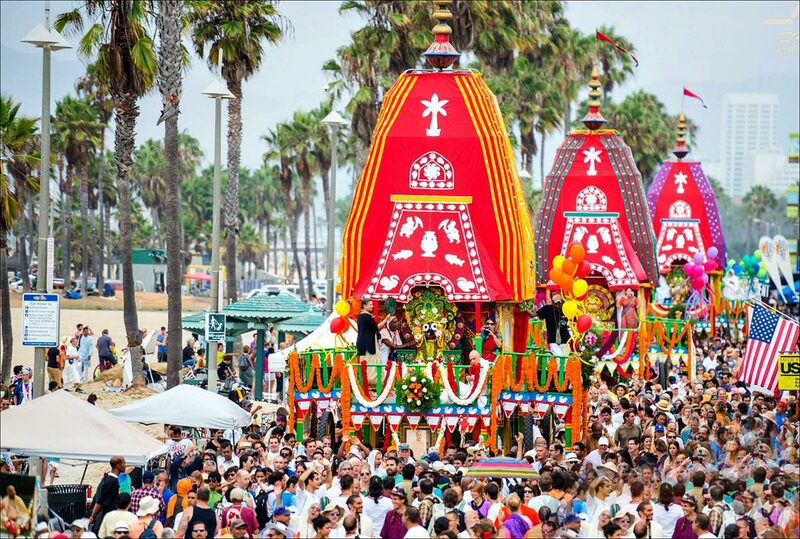 Thousands of devotees pull the chariot, offer their prayers, join in the kirtana and partake the prasadam being distributed, all along the route of the Ratha Yatra. Our Ratha (chariot) is a perfect fusion of modern technology and ancient tradition. In spite of its traditional looks, it has several state-of-the-art features like air brakes and a steering wheel having a very good suspension which makes it feasible to traverse even over long distances by just replacing its wheels with tyres. The canopy of this Ratha is another unique feature, which, with the help of an electric motor can be moved vertically upwards or downwards. The height of this Ratha is about 26 ft from the ground level when the canopy is fully lifted. The Ratha has a hundred and ten feet long sturdy rope on either side of it (one for men and the other for women) making it possible for about 500 persons to pull it at a time. The temple staff takes adequate safety measures like deploying a wheel protection team (who ensure that people don’t come close to the wheels) and arranging a sound system to communicate and control the surging devotees which in turn would help in the easy progress of the Ratha. 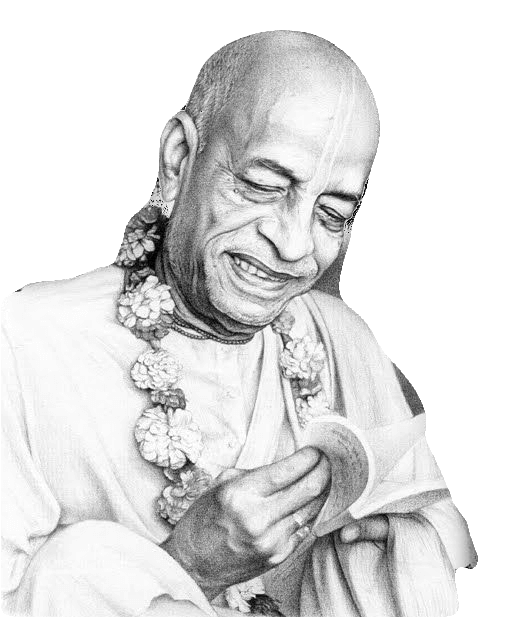 Prasadam is distributed to all the devotees who participate in the Ratha Yatra. Devotees fill their buckets with prasadam and distribute it in donnas even to the onlookers and encourage them to come and pull the chariot.